Private Addiction Treatment Versus Public - Which is More Effective? Public vs. 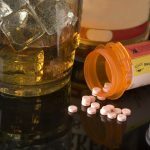 Private Addiction Treatment: Which is More Effective? The United States of America and her people are now living through the worst period of drug abuse and addiction problems in our nation’s history. The addiction rates for nearly all commonly addictive drugs are well up compared to previous years, but by far the worst culprit in the moment is prescription opioid painkillers and thereby other opiates such as heroin. This situation has been dubbed the “opioid crisis” and the US Centers for Disease Control and Prevention (CDC) has declared it the worst drug addiction epidemic in the history of the United States. With the steadily rising numbers of drug addiction problems, also comes the rise for proper drug addiction treatment. But which method is more effective, public or private addiction treatment? President Donald Trump has declared the problem a “National Health Emergency.” Many states have also declared their own states of emergency in an effort to begin fighting back the rising tide of addiction before it gets any worse. There are countless ways in which people become addicted or dependent on drugs or alcohol, but one of the most common ways and the one that has been blamed for the current rise of prescription drug addiction is people being over-prescribed powerfully addictive drugs. Then they take them as recommended by their doctor to treat the symptoms of chronic or acute pain, but before they know it their body has become dependent on the “medicine” they were prescribed and they are compelled to keep taking it by a budding addiction or face the consequences of a painful withdrawal. Because this has happened to so many people over the last two decades in ever increasing numbers, there are now more people than ever who either realized that they need help because they became unknowingly addicted to a prescription, or went further down the dark road of drug abuse and addiction and are now needing help to turn themselves around and put their lives back on track. The good news for these people is that while addiction recovery can be difficult, there are now more options and addiction recovery facilities than ever before. If you or someone you know is looking for help recovering from drug or substance addiction, there are a few choices you may have to make in determining what recovery option is right for you. One of these choices is whether to go to a public or private addiction treatment rehab. Before we start comparing the differences between the two, and go into which may be more effective, let us first state that any treatment for addiction is likely far better than no treatment and that most all types of treatment have helped a great number of people recover from addiction. All that we are talking about here is which type has the best chance of helping you and hopefully helping you chose which option would be best for your specific situation. Public rehabs. These rehabs are state or locally funded and are usually available to those who qualify free of charge. Free or charity rehabs. Like the name suggests, these rehabs are free to the public and are usually comparatively small and run by volunteer or religious organizations. Low-cost rehabs. Rehabs in the category are available to the public at costs that are partially offset by funding from the state or other organizations or volunteers. Private rehabs. Finally, there are private drug treatment facilities, and these can be further broken down into private rehabs that are run as non-profit or for-profit businesses. By far the most common you are likely to encounter are public rehabs and private addiction treatment rehabs, so those are the two that we will cover here. First, let’s go over the positive and negative aspects of both. The most obvious Pro for public rehab is, of course, the cost. For many people, this alone is the deciding factor when making a decision and there is nothing wrong with that at all. The care at public facilities is usually quite good. The people working there typically have a lot of experience in the fields of addiction and recovery and can provide quality care to participants. The wait to get in. Because there are so many people in need of help, these facilities often have very long waiting lists to get in. The wait may be several months which can often be several months too long when it comes to addiction. The best time for someone to go to rehab is as soon as they decide to go. Adding more time only increases the odds of a relapse or something else going wrong. Not enough personal care. 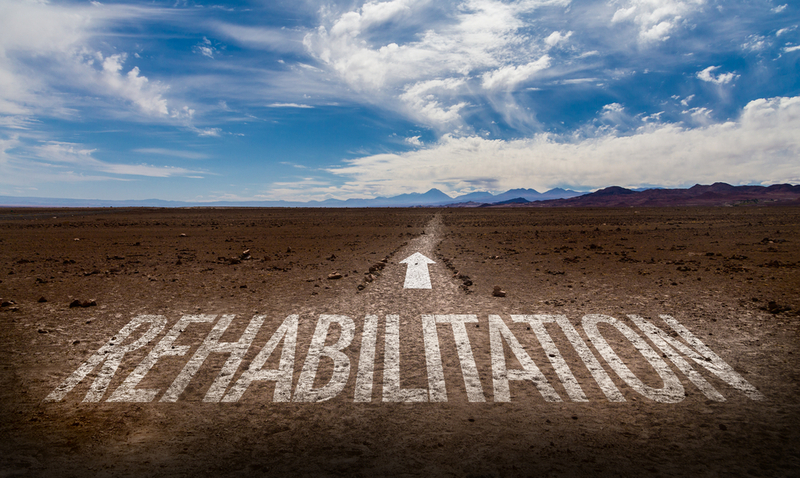 Because of the limited funds and available space, there can sometimes be a tendency to rush people through the program and get them out the door before they are truly done with the rehab process. Outdated techniques. Because the programs are state-sponsored, they can only use state-approved treatment methods. While this is fine, it can often take a very long time for new methods to become state-approved and these programs may be using methods well behind the cutting edge. Quality of care. You are paying for the best care, and at a private facility, you will get it. Quality and comfort in the facility. Again, here you will likely have a much better experience than at a public facility who’s budget for improving and maintaining facilities is likely minimal to non-existent. Treatment methods. Private addiction treatment facilities can offer any treatment methods they find work best and here is probably the greatest difference between public and private rehabs. And the variety of treatment options available at different private rehabs is also very broad. Because of this, it is wise to educate yourself on the treatment methods used by any rehab and decide if you think it will work for you. The cost. Because these programs have to shoulder the whole financial burden of operation, those costs are, of course, passed on to the customer. 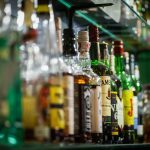 The good news is that there are many options for those who need help paying for a private rehab. As was mentioned earlier, many private rehabs are run as for-profit businesses. While this might sound like a drawback at first, consider that such a facility can afford to employ the very best employees, build and maintain the best and most comfortable treatment facilities, offer thorough and extensive treatment to each and every person in their care, and because they are not beholden to any other agency, they can employ the latest and most effective methods of treatment. Because of all the above, if all other concerns are equal, private addiction treatment rehab is generally considered to be more effective than public rehab, but by far the most important consideration is which will be most effective for you. Hopefully, this information can help you make your decision. It is very important to keep in mind that all of this information is general only and that not all rehabs are created equal. Just because a rehab offers private addiction treatment or public does not make it a good rehab. Any rehab is only as effective as their method of treatment and the quality of their staff who run and administer the program. Always do your research as much as you can when choosing a drug rehab program.